This daily fee course is recognized as one of the busiest facilities in the Washington, D.C. area. Years of non-stop use had taken its toll on the golf course. A two year reconstruction program was implemented which involved reconstruction and expansion of all tee areas, added strategy to the fairways, green reconstruction and complete hole rerouting. 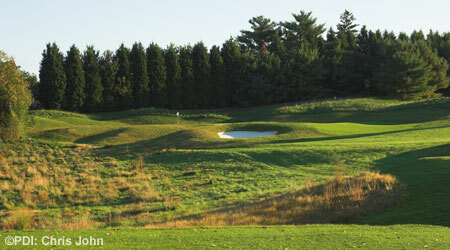 The rerouted holes helped improve the variety found on the course and improved the overall relationship between the facility and its neighbors.